Ohmdog's story is a wonderful example of how with a little help, encouragement and some good old fashioned hard work, visions and dreams can become reality. All that ohmwork turned dreams into reality, complete with real donations to charities and a little character who has become recognized by many as "the acts of kindness, peace and happiness dog." Good dog Ohm! Feel the Peace. Embrace the Happiness. Created by Kids. Just Right for All Ages! During elementary school, Philip and Emily were in the same class together, they took yoga together, and they even shared similar dietary restrictions. It was no surprise that they became good friends. 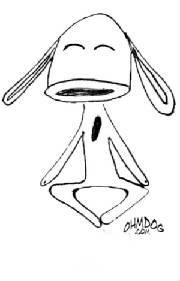 The two often spent time drawing characters together and their little character Ohm Dog was one that stood out among the rest for one reason or another. 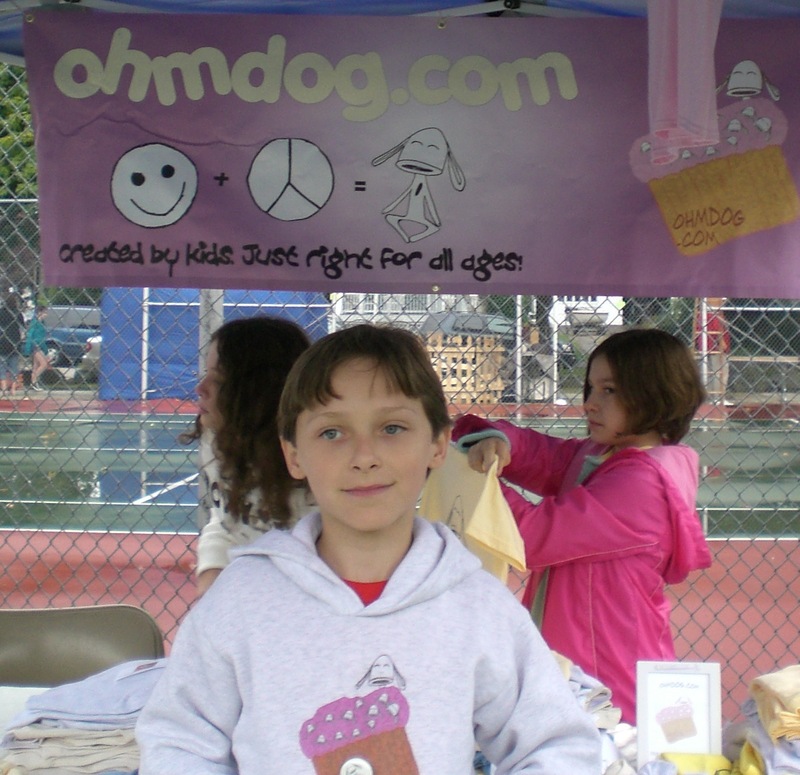 Being an entrepreneur at heart, Philip expressed an interest in putting Ohm Dog on t-shirts as a business. At first the vision was big, Philip imagined Ohm Dog t-shirts in every Wal-Mart across America. Emily imagined a monument built in his image. Talk of turning Ohm Dog into a business became a common discussion and the opportunity to teach these two kids how to turn dreams into reality presented itself over and over again. As a Christmas gift, Philip received web design software and business cards complete with his name, an image of Ohm Dog and the URL, www.ohmdog.com. He had been given the tools to take his vision to the next level and the challenge to put his best effort forward was on. A website wasn't exactly what he had in mind, but it was a place to start. Progress, not perfection was the lesson not only to learn but to embrace. Soon after, Emily agreed to be on board, she would be the Vice-President of Ohmdog.com. Together she and Philip would create a website all about Ohm. During their very first business meeting the kids were asked what Ohm Dog would represent. The response was Ohm should spread happiness and peace to everyone who would meet him and that he would help other people in some way. Two months later the website for the charitable business Ohmdog.com was launched. A dream of two ten year old friends became a reality. Philip and Emily put a lot of time and effort working on Ohmdog.com and with help from the Moms, the website is now in its second year. Ohm has been visited by over 20,000 people and has friends across the globe! Visions for Ohm's future include continued donations to charities, enhancements to the website and the means to offer more and more environmentally friendly products that are kind and gentle to our planet. Oh yes, and we haven't lost sight of that monument in Ohm's image.